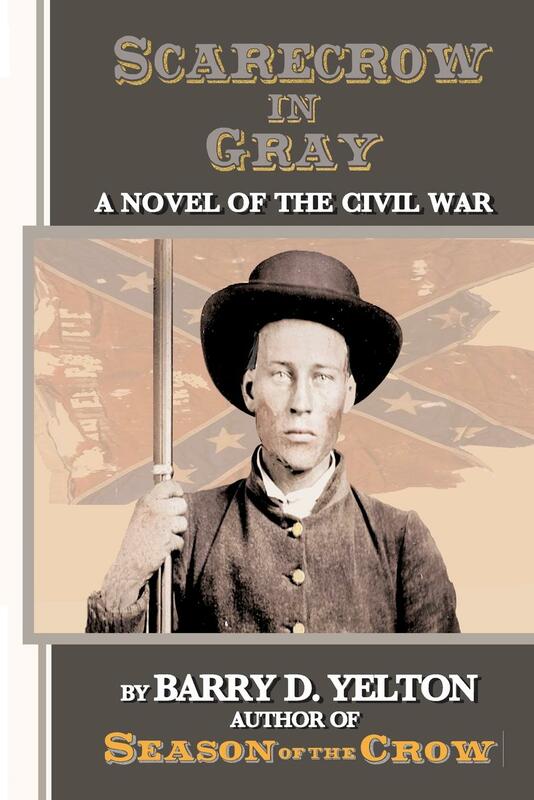 Yelton, Barry D. – Scarecrow in Gray – Strider Nolan Media, Inc.
Strider Nolan Media has published this revised, second edition of Barry Yelton’s debut novel as a companion piece to the sequel, Season of the Crow, also now available. A peaceful hill country farmer from North Carolina, Francis Marion Yelton, is torn from his beloved family and thrust into the barbarity of America’s deadliest conflict: the War Between the States. Forced to become a soldier and fight a war in which he has no stake, Francis struggles to come to grips with this deadly new role. Blood and battle threaten to transform Francis from a man of peace to a brutal warrior, and he struggles to cling to his ideals. Wracked with doubt and guilt, tormented by the violent acts he has been forced to commit, Francis looks to his faith in God and to the memory of his devoted wife and loving children to sustain him through the dark night of war’s savagery. Battle after battle, through hailstorms of lead and waves of cold steel, Francis fights to survive. Will he ever see home again? 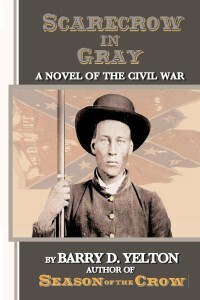 Barry D. Yelton has been an avid student of the Civil War for over twenty years. He holds a degree in political science with a minor in history and English. His books include the Civil War novels Scarecrow in Gray, Season of the Crow, and On Wings of Gentle Power, a collection of poetry.